GOA Catalyst Conference » Let’s make more cornfields–but not for food? You probably eat every day (and that your body needs to function), but that is also associated with one of the most serious health issues facing the American public today. Is made from a source also used to make some kinds of automobile fuel. Makes propylene glycol (antifreeze) and spandex. Do NOT scroll down until you’ve completed the poll. The answer–perhaps surprisingly–is Glucose: (C6H12O6), a type of simple sugar. The picture above is one of a single Glucose molecule—and you should also check out this cool interactive 3D Glucose molecule here! 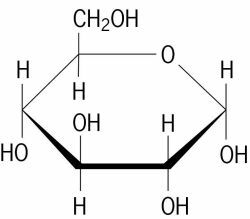 Glucose is primarily derived from starch in a process known as acid hydrolysis. In this process, acids are added to starch—essentially molecular chains of Glucose—to isolate the Glucose molecules, making them much easier to utilize in a variety of purposes. This process is so efficient that it possesses approximately a 95% yield; in other words, 95% of the starch at the beginning is successfully turned into Glucose during acid hydrolysis. And much of this starch comes from plants with high starch content such as corn—and corn has historically been used to produce ethanol, a biofuel for automobiles. In addition, Glucose is known as a platform molecule, a molecule that can be used as the starting point for the production of many other organic molecules useful to human beings. Among its numerous derivatives are Lactic acid and Succinic acid (produced through the bacterial fermentation of Glucose), each of which is also a platform molecule in its own right. To this end, Lactic acid can be used to produce acrylic acids and polyacrylic acid, which have a multitude of uses ranging from pharmaceuticals to paints; polylactic acid, which is a kind of plastic polymer; and the antifreeze propylene glycol, which is used as a non-toxic version of ethylene glycol. Succinic acid hardly loses out to Lactic acid in its number of derivatives, though: among many others, it can be used to produce multiple polymers, plastics, and alcohols. In addition, Succinic acid can be synthesized into Tetrahydrofuran: an important component of Spandex, of all things. In other words, many of the objects [and items that we depend on in the modern world—from athletic shorts to paint—stem from Glucose and its derivatives, thanks to the capabilities of modern chemical engineering. Of course, more than anything else, Glucose is best known for its role in diabetes—normally, a molecule known as Insulin facilitates the movement of blood sugar (Glucose) into cells, where Glucose serves as the cell’s chief form of energy. However, those with diabetes are unable to properly transfer sugar into cells, often through a lack of Insulin (necessitating the artificial injection of Insulin into the body and/or a specific exercise/diet regimen). As such, not only does fatigue and exhaustion result—from cells deprived of Glucose—but further health complications (such as organ damage) arise because the body’s blood sugar levels are no longer at safe levels. But diabetes aside, any experienced parent will still be able to tell you about the negative health effects of sugars like Glucose and Fructose on a candy-obsessed child, whether it’s simply some stomach troubles to a visit with the dentist to a stay in the ER. In other words, it doesn’t take Lead (or Tetraethyl lead, for that matter) for a molecule to be potentially harmful to a person’s health—as Glucose demonstrates. So, then, what’s the problem? Although the most obvious one may seem to be the negative health effects that Glucose poses through diabetes, a not-to-be ignored issue may be related to its positive effects. This is because Glucose and its many beneficial products outside the food industry are not entirely available to all people: in other words, the problem is one of inequality. Those in underdeveloped or developing countries have limited access to such products as are produced from Glucose—and thus are unable to benefit from them. One way to attempt to combat this would be to increase the production of starch-containing plants such as corn [Glucose can also be derived from a substance known as cellulose, but the process is much more difficult than that involving starch]. Not only would this lessen the severity of the food-versus-fuel debate, but it would also encourage the proliferation of Glucose-derived amenities, and their widespread use among those formerly lacking them. Another could involve High-Fructose Corn Syrup (corn syrup in which some of the Glucose has been partially converted into Fructose). According to this article, high HCFS use in countries correlates with higher rates of Type 2 Diabetes. Thus, it might be a possibility to decrease HCFS production (in an effort to reduce diabetes rates) and redirect the corn used to such ends towards more Glucose production. In any case, the general idea is to increase the rate at which Glucose is made. But…but…why specifically Glucose-derived amenities, and not—say—petroleum-derived materials? After all, petroleum is the answer for most peoples’ needs: the vast majority of organic molecules that make up objects in the modern world are synthesized from crude oil, as the hydrocarbons of oil are separated from each other by size (see the “Distillation Column” image below). The 10 hottest years on record have all occurred since 1998, and the average global temperature has increased by nearly 2 degrees Fahrenheit since the late 19th century. Sea levels have been rising at a rate of approximately 3.4 mm each year due to the melting polar icebergs. Levels of CO2, a greenhouse gas (a gas in the atmosphere that traps heat from the sun, contributing to global warming), are at their highest level in thousands of centuries. Land ice has been shrinking at a rate of nearly 300 gigatons each year. And more petroleum production will only make it worse. 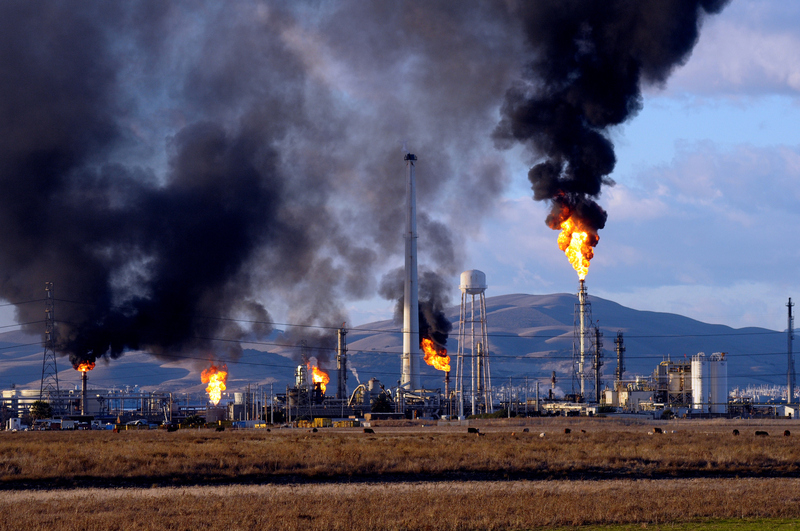 In addition to a host of harmful pollutants (such as BTEX compounds, carbon monoxide, particulate matter, Nitrogen oxides, and the like), oil is a major source of CO2 (carbon dioxide) and CH4 (Methane): both of which accelerate the process of global warming. As such, Glucose may have a solution for this. For instance, the compound Propylene glycol (an antifreeze, as mentioned earlier) was formerly produced from petroleum, but is now derived from Glucose. Similarly, Polylactic acid (another indirect derivative of Glucose) has the capability to replace some types of petroleum-derived plastics. Since Glucose lacks the large amounts of pollutants and greenhouse gases that petroleum produces, its derivatives may provide a more environmentally conscious method of increasing access to basic materials (such as plastic and paint) in underdeveloped countries.Another solution may come from the field of chemical engineering. Glucose may be an amazing platform molecule, but it is exactly that: just another molecule, discovered and studied by chemists and chemical engineers; platform molecules like it have been and will continually be discovered. In other words, there’s likely more where Glucose came from: the very same people (chemists and chemical engineers) that discovered Glucose and researched how to produce it effectively will likely be able to find and research more “wonder molecules,” enhancing the extent to which we are able to produce everyday objects easily and efficiently—with fewer social and environmental tradeoffs. Thus, investing into expanding the Chemical Engineering industry has great potential to push up the standards of living worldwide (especially in developing countries) by enabling us to manufacture our own world in new and better ways. The most significant drawback to increasing Glucose production is the food-versus-fuel debate mentioned earlier: a dilemma in which there is a tradeoff between the use of plants such as corn for nourishment and its other, non-food uses. As such, using starch-containing plants such as corn to produce Glucose (and then to consequently produce its derivatives) likely diverts resources from food production. Consequently, in some of the very same underdeveloped countries mentioned earlier, the increased production of Glucose may in fact be a detriment to their prosperity—especially considering that hunger seems to be a far bigger challenge than the absence of relative luxuries like paint and antifreeze. In other words, the priority at the moment may simply be to hold off on increased Glucose production (save in cases where corn’s overall for-food production does not suffer) until the threat of starvation is dampened. Any other ideas or opinions? Anything that immediately comes to mind? Feel free to share any or all of them below! “Sugars.” Hyperphysics. Accessed April 21, 2017. http://hyperphysics.phy-astr.gsu.edu/hbase/Organic/sugar.html. “Blood Sugar | Blood Glucose | Diabetes.” MedlinePlus. Accessed April 21, 2017. https://medlineplus.gov/bloodsugar.html. YouTube. March 08, 2011. Accessed April 21, 2017. https://www.youtube.com/watch?v=OlHez8gwMgw. “Oil.” David Suzuki Foundation. Accessed April 21, 2017. http://www.davidsuzuki.org/issues/climate-change/science/energy/oil/. “NASA: Climate Change and Global Warming.” Accessed April 21, 2017. https://climate.nasa.gov/. “How High Fructose Corn Syrup (HFCS) Is Made.” Diabetes Health. February 17, 2011. Accessed April 21, 2017. https://www.diabeteshealth.com/how-high-fructose-corn-syrup-hfcs-is-made/. “Countries that use large amounts of high fructose corn syrup have higher rates of type 2 diabetes.” British Medical Journal vol. 345, no. 7885 (December 1, 2012). Accessed April 21, 2017. http://www.jstor.org/stable/41724392. “Corn: It’s Not Just for Dinner.” The Science Teacher vol. 69, no. 1 (January 2002). http://www.jstor.org/stable/24154695.